Yesterday's session was more about dollar weakness than euro strength. This was undoubtedly due to Bernanke's speech about accommodative policy extending into next year, which monopolised the financial news throughout the day. Consequently, the shared currency posted another significant advance, with the EUR/USD spread trading market gaining 128 points to $1.3094. The US dollar was hurt by comments from Fed Chairman Ben Bernanke about interest rates and the job market which continue to suggest an accommodative monetary policy. In the first part of the trading session, the euro had only made limited gains versus the dollar, however, the momentum certainly gathered pace towards the close. The EUR/USD pair closed 193 points up at $1.2973 and the overnight rally even managed to take the price up to the $1.3200 mark. Putting it at odds with its US counterpart's monetary policy, the European Central Bank signalled through one of its Board members that it intends to maintain the current stimulus for more than a year. Although the central bank issued a statement trying to fix the damage of giving too much guidance, this proved too late. 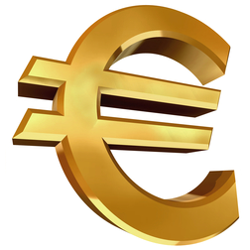 Consequently, the euro resumed its slump against the dollar on the FX markets, losing 86 points to $1.2781. Despite some disappointing numbers for the German economy, the euro managed to rebound yesterday, gaining 55 points to $1.2869. Appetite for the shared currency might have been boosted by news that European officials agreed to release €3 billon for Greece to prevent another debt crisis. A surprise drop in German Factory Orders sparked an early sell off in the shared currency as investors feared that the Eurozone will struggle to emerge from its record long recession. And to make matters worse, the better-than-expected NFP data sent spread trading participants into the US dollar, thus accentuating the euros plunge. Consequently, the EUR/USD pair ended 85 points lower at $1.2829, a level that was last seen in late May. Despite US central bankers acknowledging the possibility of a scale back in stimulus, it seems that such a move is not on the cards in Europe just yet. Mario Draghi boosted the equity markets by providing assurance that the benchmark rate would remain at 0.5% for some time to come. The statement also influenced the foreign exchange CFD market, with the euro losing 96 points to $1.2913. The grace period is over and the really gritty work of monetary policy begins for Mark Carney. Scrutiny will be intense and any slip ups could draw comparisons to George Bush rather than George Clooney. Although his suitability for the role stems from the success of the Canadian economy, he comes from a country that does the majority of its trade with the US. This means that a large portion of his monetary acumen could be attributed to Ben Bernanke instead. Unfortunately for Carney, the UK's biggest trading partner is the Eurozone. As recent events in Portugal, Greece and Italy have shown, the trading bloc continues to be a bureaucratic no-mans land, constantly finding its way back to the edge. Mark Carney would do well to remember that he can no longer ride on the coat tails of Bernanke and instead will have to counteract or even pre-empt the tinder box on the continent. At today's main event, the ECB Press conference, Draghi is expected to placate those demanding action for the ailing Eurozone by doing nothing. However, he may well hint that he could, possibly, in a very rare scenario, conduct non-standard measures. And, of course, we are also likely to see some heavy buck-passing back to politicians for the state of the economy. Initially, the EUR/USD pair headed south to an intraday low of $1.2922 following troubles for Portugal's coalition government. This highlighted the fact that the European periphery never really saw its problems go away. Nonetheless, the shared currency pared the early losses and even finished 30 points higher at $1.3009. This came once forex traders began speculating about whether the US employment report will be strong enough to encourage QE tapering. The Eurozone unemployment rate rose to 12.2% yesterday, from a revised figure of 12.1%, although Germany, Europe's biggest economy, saw its jobless rate fall to 5.3%. In addition, youth unemployment reached 23.9%, with no sign of stopping any time soon. As a result, the euro resumed its slump against the US dollar, losing 84 points to $1.2978. In FX trading, the euro gained 47 points versus the dollar to $1.3060 as manufacturing in the common area contracted less than previously anticipated last month. The data was seen as another sign that the economy on this side of the Atlantic is on its way out of a record long recession. In addition, promises made by ECB President Mario Draghi that 'the policy will stay accommodative for the foreseeable future' may have helped stabilise the euro just above the $1.30 level. By and large, the European economic data was better-than-expected on Friday, fuelling renewed optimism that things might start to get better. However, at the same time, the European Central Bank said that Cypriot bonds are no longer eligible as collateral, indicating that the old demons are not completely gone. So, having moved the euro above $1.31 in early trading, investors cashed in towards the close and sent the EUR/USD pair 21 points lower to $1.3015.